Leticia's Cleaning FAQ — Leticia's First Class Cleaning Inc.
Leticia's First Class Cleaning Inc. Here are some answers to our frequently asked questions about our professional cleaning services. Q: Is your house cleaning service insured? Yes. For your protection, Leticia's First Class Cleaning, Inc. is fully insured with a general liability insurance policy. Q: Is your cleaning service licensed? Yes. 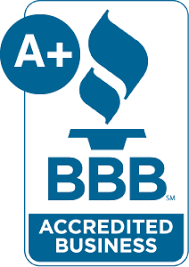 We are proud to be fully licensed, bonded, and insured since 1998. License #07-7064. Q: Are your cleaning products safe for my family or employees? If you or anyone in your family or on your staff has any allergy or asthma, please let us know. We are proud to be a professional cleaning service in San Luis Obispo County that is environmentally friendly and nearly all of our products are completely biodegradable. Upon request, we will make sure that everything we use in your home or office is completely non-toxic and free of chlorine, phenol, ammonia, or formaldehyde. Read more about our green cleaning service and products here. Q: How much does a professional cleaning service cost? We give free estimates as cleaning services vary based on so many factors and we are happy to talk to you! Owner Leticia has been known to answer her phone 24 hours a day, so please use our contact form or call any time! Generally, it will depend on the number of hours needed to clean and the frequency of the cleaning (Are you looking for a deep cleaning one time or regular cleaning service? Will it be for your home, vacation rental, or office?). Our professional move-out cleanings have almost always cost less than the cleaning deposit, which we can usually guarantee we can get back for the renter. We are licensed, bonded, and insured. This protects you and your home. We also train and hire great staff and pay them a liveable wage. Your cleaning service may be an hourly service or a regular fixed price depending on what we’re cleaning for you. Q: How long will it take to clean my house? Size isn’t everything when it comes to the time it will take for a house cleaning. How many bathrooms do you have? How many people and pets live in the home? When was the last professional or thorough cleaning? These are all important factors we will need to know to give you a good estimate. We also want to know if you have carpeting or solid flooring and how much furniture and shelving you have. If you have a lot of fragile items, we will need to take extra care in dusting which will add to the time but always be worth it in the end to keep your house clean and show off your collection. We may assign one or multiple people depending on the job. As the largest professional cleaning service in San Luis Obispo County, we have a team ready to take on any cleaning job! Q: How far in advance do I need to cancel my appointment? Without at least 48-hours advanced notice for all cancellations, you will be charged the full rate for your cleaning service. Q: How often should I have a recurring cleaning? Professional cleaning services for the home are most often done on a monthly basis. Recurring house cleaning for small or busy homes might be every two weeks for families that need or want our services, but it is less common. However, we have found that families in crisis where a parent is sick, a new baby has joined the family, or someone is undergoing medical treatment often seek more frequent recurring professional cleanings such as every two weeks to help maintain the household. You can always leave your mess in our hands and our expert cleaners are happy to help. Professional cleaning services for commercial businesses including janitorial services are more frequent than house cleaning services. Offices, tasting rooms, retail stores, and other commercial businesses need professional cleaning frequencies based on the amount of foot traffic they receive and the number of staff they have. Winery tasting rooms receive the most foot traffic on the weekends and may ask to be professionally cleaned Friday, Saturday, and Sunday to maintain their pristine conditions for tourists, then do their own light mopping during the week. We operate 7 days each week and can accommodate any schedule for commercial businesses, including janitorial services on all 7 days. Q: How often should I have my carpets professionally cleaned? As part of a healthy home environment, carpets should be professionally deep cleaned once each year (and vacuumed weekly). If you have new carpet, you may even need professional carpet cleaning to maintain your carpet warranty. Professional carpet cleaning each year prolongs the life and beauty of the carpets, but also removes contaminants, smells, allergens, and other things you don’t want in your home (or office). The air you breathe each day is being filtered with the carpet – keep it clean! Q: How do I participate in Cleaning for a Reason? Leticia’s First Class Cleaning, Inc. participates as a professional cleaning service for San Luis Obispo County for women who have breast cancer in Cleaning for a Reason. If you are in this area and are a patient receiving treatment for breast cancer, we want to support you! Go to http://cleaningforareason.org/ to sign up. If you are not a patient but want to support this nonprofit organization, they participate in Amazon Smile or accept donations through their website at the same link. "You name it, we clean it!" Serving San Luis Obispo, Pismo Beach, Avila Beach, Los Osos, Atascadero, Paso Robles & Cambria for over 20 years. Licensed, bonded and insured since 1998. Signup for our email newsletter and get special promotions.